Vitamin D is an essential nutrient for your overall health. Sufficient levels of this vitamin significantly impact hormones in your body that keep your emotional state uplifted and your immune system strong. With enough Vitamin D, your heart, bones and skin are all stronger and more resilient. The primary and best source of Vitamin D is exposure to ultraviolet A & B rays. The ESB D-lite therapy bed gives your body a healthy dose of these rays so it can make Vitamin D.
Standard commercial tanning beds emit harmful levels of electromagnetic radiation in addition to the important ultraviolet light. 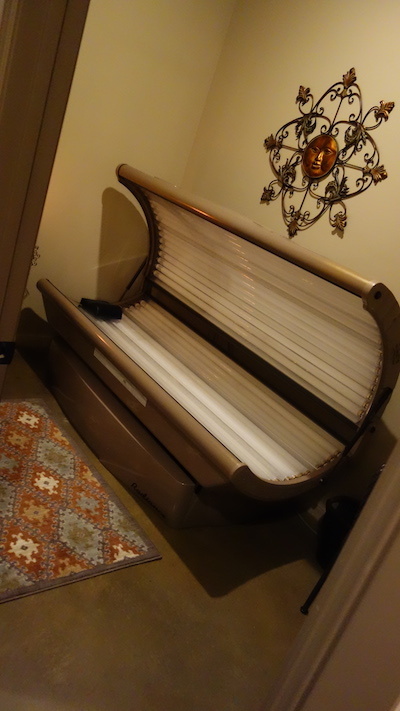 The D-Lite is specially designed to reduce and eliminate secondary radiation that makes most indoor tanning unsafe. The bulbs in the bed have a more narrow range of energy they emit. Most importantly, the actual motor of the bed is electronic ballast instead of electromagnetic. It was created to not emit high levels of radiation. For a healthy boost in your body’s natural levels of Vitamin D, make the D-lite tanning bed part of your regular health routine. It is important to allow 48 hours to go by between tanning sessions.